The First Follower Package, is an all-in-one premium service incorporating everything your firm needs to develop a tailored, evidence based business development and client engagement strategy to increase revenue, profitability and client service. Our approach is highly collaborative and designed to maximise engagement with your team and clients. 3. Who are your target clients? 4. What is your client value proposition? Together, we will identify market opportunities and develop engagement strategies to attract and retain high value clients for your firm. Our systematic approach is guaranteed to increase revenue and profitability. You don’t have a strategy to achieve your revenue and growth objectives. Have a comprehensive and concrete understanding of your firm’s goals, strategy and objectives and how these can be achieved through a systematic approach to business development and client management. Have an analytical, evidence based understanding of your client base, value and whether your business is over or under servicing client segments. Stage 1 is about establishing a baseline understanding of your market and client engagement activities, existing client base, and financials (revenue and profit). Understand your overarching strategy and objectives. We will interview up to six internal stakeholders. This list of stakeholders will be agreed in consultation with you as Project Sponsor. Develop a qualitative understanding of what your clients’ value from you, what they would like more and less of. Assess your level of maturity as a client-centric organisation based on three case studies identified through the activities above. This is an interview based program with an agreed number of clients based on the size of your business. We typically recommend between 5-10 clients and have allowed for this in our budget. Should additional interviews be required we would be pleased to discuss this with you. At the conclusion of this stage, you will receive a summary report detailing your top 5 client opportunities and recommended strategies to convert to new contracts, or grow existing contracts by a minimum of 10%. A dashboard report outlining key findings, themes and areas emerging from the Current State analysis, including opportunities and challenges. This report will be suitable for Board members and Partners. During this stage we begin the process of socialising your market and client engagement strategy, with your leadership team, beginning with a Current State Workshop. Outline of the project methodology and introduction of the four key questions posed during the Current State Stage:What are your goals? How are you different from your competitors? Who are your target clients? What is your client value proposition? We ask the group to consider these questions individually and as a collective, before presenting the key findings of Stage 1: Current State Diagnostic. This provides an opportunity for the group to discuss the value clients perceive your organisation as offering, versus internal perceptions. The difference between these two views provides valuable input into the development of your market and engagement strategy and future value propositions. A comprehensive market and client engagement strategy designed to elevate the awareness, industry standing and market leadership of your organisation, to increase the pool of potential clients and extract maximum value out of existing clients. Overarching summary document, with identified priority actions for the next three, six and twelve months and those accountable for implementation. This is the final stage of our methodology. The combined deliverables of Stage 1 and Stage 2 will provide you with a robust, evidence based market and client engagement strategy with priority opportunities and actions over the next twelve months. Validation of this work with your clients and internal stakeholders is an important component of our approach, in order to continue to build consensus and momentum. Therefore, during Stage 3 we seek to return to the clients who we engaged with in Stage 1 to validate your strategy. This is a powerful way to demonstrate the level of commitment your organisation has to listening, responding and refining its approach to client engagement and service. We know life gets very busy in professional services. Hence our methodology incorporates regular ‘health checks’ because we want you to succeed. At the 3, 6 and 12-month milestones, post the acceptance of your market and client engagement strategy, we will meet with you to discuss progress to date and results, which we believe will quickly become evident. And yes, we will keep you honest if things aren’t progressing as well as they should be. If of interest we can offer ongoing coaching on a retainer basis as an additional service offering during this period. This can be for individuals or for small groups depending on your requirements. Twelve month progress report and high level next step recommendations. Ceinwen has over twenty years experience working in the public and private sector. Ceinwen is passionate about helping professional service firms identify market opportunities and develop engagement strategies to attract and retain high value clients. Formerly a business development executive in a global professional services firm, Ceinwen is highly regarded for her ability to navigate complex environments and develop and implement effective client engagement strategies with demonstrated return on investment. Ceinwen’s strategic account management skills and business development capabilities, combined with excellent interpersonal and exemplary stakeholder management skills make her a highly sought after adviser. BUT, let me ask you: What are you busy doing? Are you busy doing the right kind of work with the right kind of clients? The ones who generate profit for your organisation, value you as a trusted advisor and actively advocate you with others who are interested in your services? Or are the efforts of your people and the resources of your firm being expended on low value client activity? If you don’t know the answer to this question it is time to stop, pause and reflect on where you want your business to be in one year, three years and five years. There will always be another urgent request or crisis to deal with. It’s time to stop waiting for the perfect moment to make the decisionswhich will take your organisation and go after what you know your firm is capable of. If you are ready to enter a new stage of growth, profitability and market leadership, then the First Follower package is what you need to make it happen. How do I know which service package will benefit my business the most? Our approach is tailored to meet the needs the current needs of your business and work towards achieving your future goals. The best way to determine which service package will benefit you most is to book a complimentary consultation with First Follower’s Managing Director, Ceinwen McNeil. If we don’t think we can help you we will say so! We work with organisations who provide professional services to their clients, including consulting, law and engineering firms. Our approach is industry agnostic; we don’t attempt to be subject matter experts for every industry. Our tools and techniques are designed to provide fresh thinking and generate tangible results for your business, regardless of the industry. Profitable and sustainable business growth comes from strengthening existing relationships and systematically targeting higher value clients. Too often organisations put the same amount of effort and resource into low-level clients as they do premium level clients. 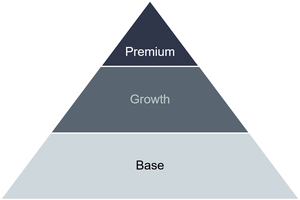 The First Follower Client Hierarchy pyramid classifies your client base into three distinct segments to enable you to make informed decisions about the allocation of resources to each segment. First Follower services clients in Australia and internationally. 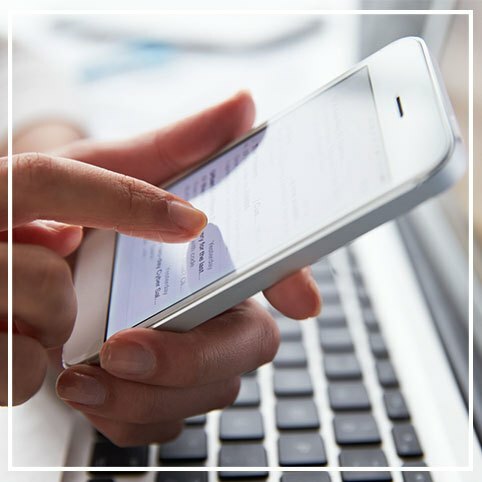 We are an agile organisation and use technology to best meet the needs of our clients, wherever you may be located. The Stocktake is a great program for when you already have a good sense of what you could be doing to improve but don’t really know how to do this systematically. This package is about building on your success and helping you achieve the next stage of your growth and profit trajectory. Is this another sales program? No. Sales training is freely available on the web to you and your business. We are focussed on building capability within your organisation which enables long term client partnerships and exemplary client service. It’s time for your firm to do AMAZING things.